An updated version of ISO 9001, the world’s leading quality management standard, will be released at the end of 2015. Major purchasers require their suppliers to hold ISO 9001 certification and research shows that 44 per cent of certified clients have won new business as a consequence of being ISO 9001 registered. The 2015 revisions are significant and will affect professionals at every level, whether they work in industry, certification bodies or training organisations. The new standard will stimulate transformation in how organisations are run throughout the world. In the last ten years certification has grown by 50% globally, with China repeatedly topping the list of new registrations. 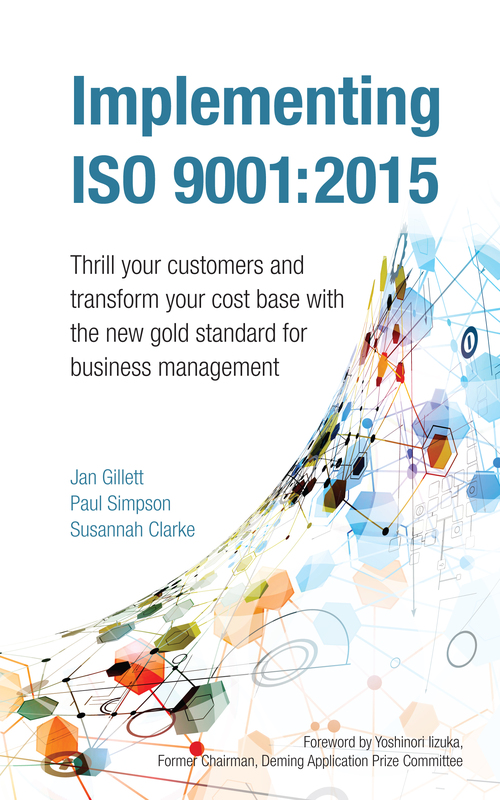 Implementing ISO 9001 2015: Thrill your customers and transform your cost base with the new gold standard for process improvement is a comprehensive guide to implementing the new standards. Over a million organisations worldwide will have to make changes in re-registering to the 2015 version of ISO 9001. But the changes can be used to stimulate transformation in organisations and their wider environments, coordinating their processes to achieve both their customer goals and reduced operating costs. Follow this blueprint and certification comes as a free bonus!